Natural Lifemanship is a type of therapeutic intervention that is relationally rich and developmentally sensitive. It utilizes horses, sound principles of equine psychology, and an awareness of human brain development to repair and enhance all of life’s relationships. It is driven by the beliefs that a sound principle is a sound principle regardless of where it is applied, and that all mental health issues result in dysfunction of intrapersonal and/or interpersonal relationships. Natural Lifemanship has created a type of therapeutic intervention that is relationally rich and developmentally sensitive. It utilizes horses, sound principles of equine psychology, and an awareness of human brain development to repair and enhance all of life’s relationships. It is driven by the beliefs that a sound principle is a sound principle regardless of where it is applied, and that all mental health issues result in dysfunction of intrapersonal and/or interpersonal relationships. There are many effective horse training techniques. However, Natural Lifemanship specifically teaches a model of applied horse psychology that uses only principles that seamlessly transfer to human psychology. Participants learn these principles and then begin to evaluate the principles behind what they are already doing with horses to assure that those principles effectively apply to human relationships. Horse Sense staff have all been trained in this cutting edge model of EAP and we host trainings at the farm every year! Indoor arena, so training will be held regardless of weather! All level of meditation practitioners welcome. No horse experience necessary. REFUND POLICY: Full refund if you cancel with more than 90 days notice. Within 90 days of the event, we will keep $95 to cover administrative fees. Within 1 week notice no refund available. The Immersion Program is an exciting opportunity designed for those seeking a deeper experience in the EAP/EAL field. A chance for hands-on learning at the Horse Sense farm, this program is a good fit for anyone willing to invest in their education and their future, who is also committed to learning more about every aspect of running an EAP/EAL practice. Come for the day or for 1-2 weeks! The Immersion Program is also ideal for folks wanting to take the time to focus on their lives, their horses and a vision for their future. If you are interested and want to be considered for an Immersion Program, please send a cover letter and resume to Jake LaRue. Please include in your cover letter when you'd like to join us and for how long you'd like to stay, as well as your top three goals for your time with us. We'll connect with you after receiving these documents and let you know if we feel we are the right fit for you and your needs. 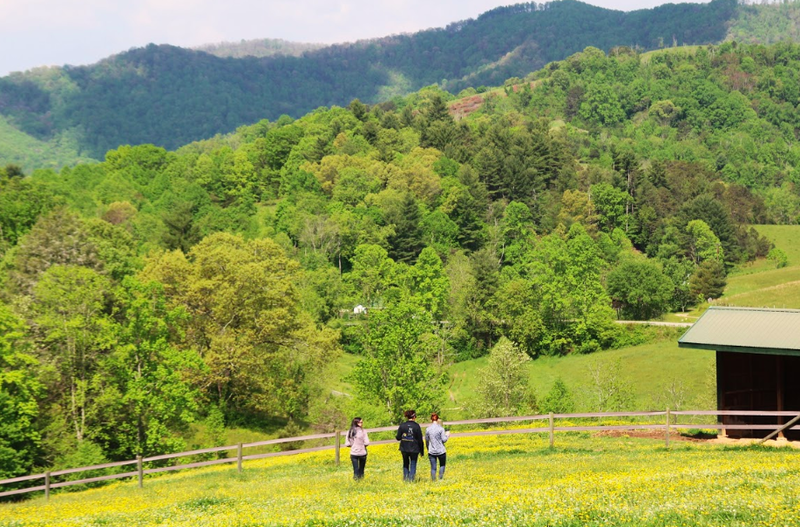 Immersion Programs vary in cost depending on goals and amount of time spent with Horse Sense of the Carolinas Treatment Teams and Staff, but a week-long (5 day) immersion averages $1950 (and includes onsite housing), and a daylong Immersion averages $845. The clinical internship program is designed for Master’s students working towards a counseling degree looking to fulfill required internship/practicum hours in an experiential setting. 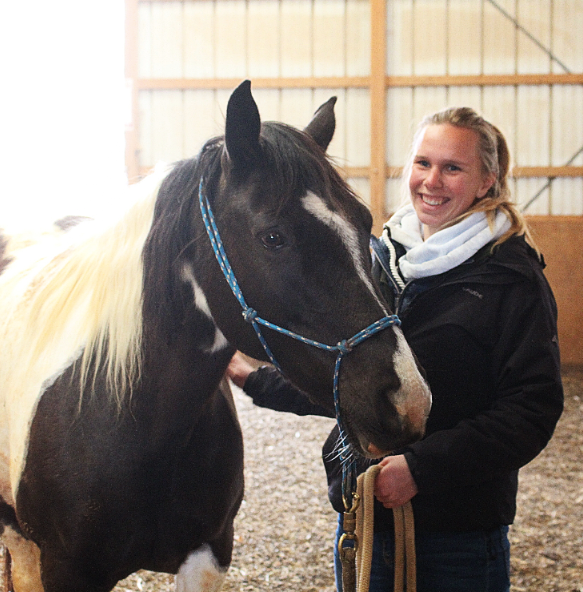 We welcome those who are interested in pursuing a career in the Equine Assisted Psychotherapy or Adventure Therapy field, and who are eager to learn more about this popular therapeutic modality. Generally, Horse Sense will take on one clinical intern at a time, whether that is for the semester or the year. **Interns must have completed Natural Lifemanship's Trauma-Focused Equine Assisted Psychotherapy Fundamental training to be considered. **All interns are required to have an off-site clinical supervisor, as supervision is not offered on-site. 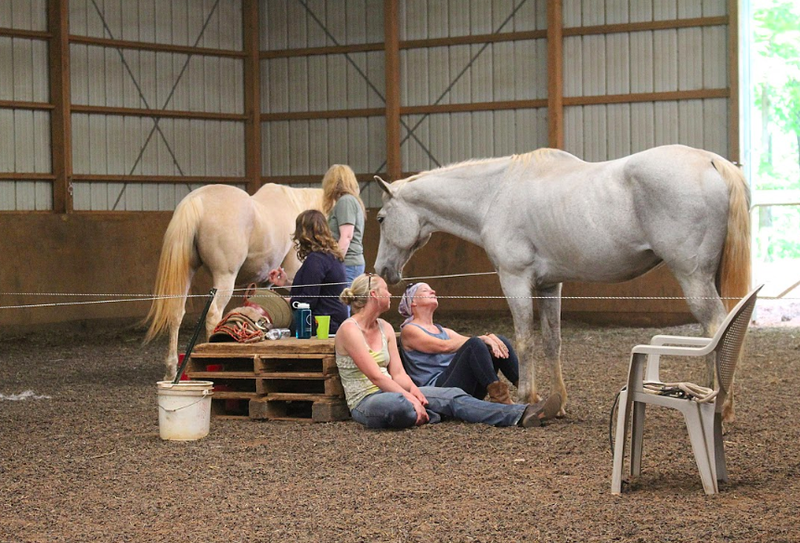 Are you working as an Equine Specialist (ES) and long for more clarity and connection around the important role you have in therapy or learning sessions? Are you taking steps towards becoming an ES and want some reliable information to help guide your path? If you answered yes to either of these questions, then an onsite internship is designed for you! Generally internships are for a minimum of 2 months, and interns must have completed Natural Lifemanship's Trauma-Focused Equine Assisted Psychotherapy Fundamental training to attend. If you are interested and want to be considered for an ES Internship Program, please send a cover letter and resume to Jake LaRue. Please include in your cover letter when you'd like to join us and for how long you'd like to stay, as well as your top three goals for your time with us. “Ideal” EAP/EAL horse? “Inappropriate” horses?